In January 2011, the Government stopped the Child Trust Fund (CTF) scheme and replaced it with the new Junior ISA. Children born between 1st September 2002 and 2nd January 2011 are only eligible for a CTF and if they already have one, it will continue as planned. For children born after then they are only eligible for a Junior ISA. With a CTF a registered contact (the person that opens the account for the child) must choose whether to put money into a savings account which just accumulates a low-rate of interest, or a high or low risk shares account which could make a lot more money but could actually lose money. 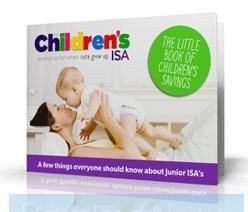 The Junior ISA is similar but only offers one form of investment account called a stocks and shares ISA. However, the biggest advantage of the Junior ISA is its flexibility. This is because with a Junior ISA, a child can have a cash savings ISA AND a stocks and shares ISA. Instead of having to choose between the high risk/reward of an investment account or the guaranteed interest of a savings account a holder can have it both ways. This is not possible with a CTF. It is possible to change the type of account with a CTF but whatever you choose all your eggs will always be in one basket. A CTF puts registered contacts under pressure to try to choose the best option for their child. In regards to our children’s futures many of us are cautious so would not want to risk losing money on an account so would plump for a savings account. A Junior ISA does not force that decision. Moving money between a savings ISA and a stocks and shares ISA is very easy, meaning you can invest as much money as you like to try and get the best return. On the hand you are also free to move money from the stocks and shares account into the savings account if you are happy with a return and want to risk less in the future. As with a CTF, it is also possible to switch between different providers in search of the best rates. In a time when the Government gives the public more control on their own futures, with a Junior ISA it is only a positive thing. A Junior ISA offers a long-term investment with the freedom to try and make the most for our children’s financial future, without risking everything. This entry was posted in Child ISA, Child Trust Fund. Bookmark the permalink.